[S546] Hillyer G. Norment, John Hillyer, Page 120. [S161] Carol A. Laun, Granby Center Cemetery, Page 120. [S25] Hannah McPherson, Holcombe Genealogy, Page 182.2. [S861] Carla Ann Newbert Bue, "NSDAR: 542552, Carla Ann Newberth Bue." [S807] Find A Grave, online http://www.findagrave.com, Find A Grave, database and images (https://www.findagrave.com : accessed 9 December 2018), memorial page for Millesent Holcomb Goodrich (1776–20 Dec 1847), Find A Grave Memorial no. 63696379, citing Baptist Cemetery, Granby, Hartford County, Connecticut, USA ; Maintained by M Cooley (contributor 47154454) . from Tempest Young Hezekiah Goodrich had grown up in Portland in a family committed to the Revolutionary cause. His uncle, David Goodrich, who had been a biptist preacher in Granby before the war, had died with his entire militia company in a winter storm, and his wodow Penelope Holcombe Goodrich, and their tow sons, had lived with Hezekiah's family during the war. Hezekiah, born in 1771, was a child of the revolution. Conceived out of wedlock to begin with, he had been brought up on devotion to the "life, liberty and pursuit of happiness" for which those close to him had paid so dearly. But in the late 1790's when his father, now a well-respected community leader, had expected Hezekiah to take up the family tanning business in Portland, Hezekiah turned away from the man who had trained him and moved with his new wife, Penelope's niece, to Granby to enjoy the frreedom and independence he had learned to cherish as a child. When Hezekiah Goodrich moved from Portland, Connecticut to Granby in 1800, he set up his tanning shop on what is now North Granby Road, just north of today's First Congregational Church meetinghouse (the meetinghouse was then on Creamery Hill Road). At that time the surrounding area was much like West Granby had been before 1790 - scattered farms, mostly owned by one or two extended families. Hezekiah, in fact, had married into one of these families in 1798, and it was probably his new father-in-law, town clerk Judah Holcomb, who set him up with land for his house in a shop in which to practicehis trade of tanning. Goodrich was possibly Granby's first tanner, and, with considerable energy, skill and business acumen, turnedc a good profit in his early years. He and his wife Millicent also took in hired hands and kept a few paupers, and in 1805, he managed to win himself appointment as Granby's first postmaster. Hezekiah was enumerated in the 1850 Granby, Hartford Co., CT, census, as a 79-year-old shoemaker, widowed, with Amelia and Sophronia in the household. Beneath These Stones and Catherine Anna Bue-Hepner disagree on the exact day of 1771 that Hezekiah was born. [S64] Mark Williams, A Tempest in a Small Town:The Myth and Reality of Country Life, Granby, Connecticut 1680-1940, Page 239. [S25] Hannah McPherson, Holcombe Genealogy, Page 182.2/Item A-8-1-6-7-2. [S161] Carol A. Laun, Granby Center Cemetery, Page 119. [S64] Mark Williams, A Tempest in a Small Town:The Myth and Reality of Country Life, Granby, Connecticut 1680-1940, Page 339. Like his father, he was also a tanner. Hezekiah was enumerated in the 1850 Granby, Hartford Co., CT, census, living next door to his father. The only child in the household was Marion 2 months. He was a shoemaker, one of three in town; he made 1,000 pairs of shoes in 1850 with just two men and a woman working for him. [S64] Mark Williams, A Tempest in a Small Town:The Myth and Reality of Country Life, Granby, Connecticut 1680-1940, Page 341. Josiah Holcombe Jr. was born on 19 September 1743 at Simsbury, Hartford Co., CT.4 He was the son of Josiah Holcombe and Abigail Higley. 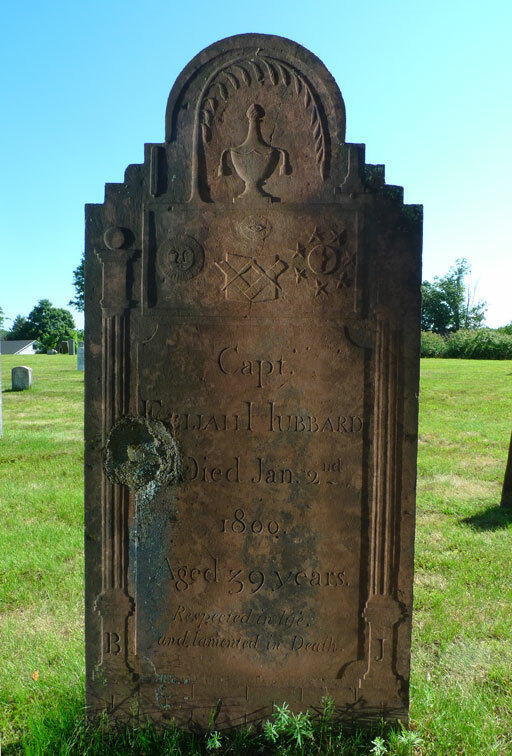 Josiah Holcombe Jr. married Dorcas Smith, daughter of Ebenezer Smith and Christiana Owen, on 25 July 1765 at Simsbury, Hartford Co., CT.5 Josiah Holcombe Jr. died on 15 June 1827 at Nassau, Rensselaer Co., NY, at age 83.6 He was buried at Presbyterian Cemetery, Stephentown, Rensselaer Co., NY. Corrections to McCracken from Stephen M. Lawson. 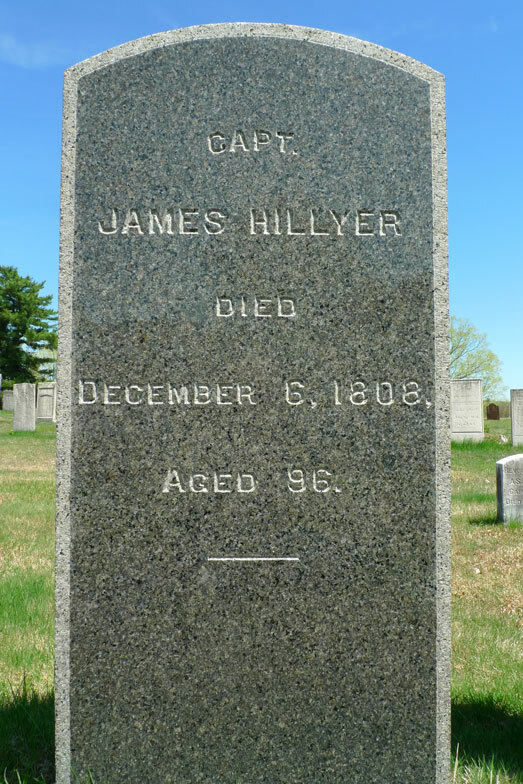 Revolutionary soldier from Simsbury CT, and served in the 4th Regiment, Albany Co. Militia. Josiah arrived at Stephentown inthe 1780's, probably with his father, brothers and sisters. He would appear to the the Josiah Holcombe who bought 59 1/2 acres on Dec 5, 1786, and 260 acres on Dec 23, 1791, located northwest of Stephentown. Uncle Josiah is mentioned in the diary of his nephew George Holcomb (son of Beriah) as living at Nassau on Mar. 20, 1820. He is found in both the 1800 cnesus and the 1820 census of Renasselaer Co., NY. [S25] Hannah McPherson, Holcombe Genealogy, Page 30.2/Item A-4-2-1-1-1. [S65] Deanna Holcomb Bowman Thomas Holcomb, Vol. II:Pg. 45/Item 42122. [S45] Albert C. Bates, Simsbury, Page 58. [S45] Albert C. Bates, Simsbury, Page 217. Dorcas Smith was born on 3 July 1745 at Suffield, CT.1 She was the daughter of Ebenezer Smith and Christiana Owen. Dorcas Smith married Josiah Holcombe Jr., son of Josiah Holcombe and Abigail Higley, on 25 July 1765 at Simsbury, Hartford Co., CT.2 Dorcas Smith died on 8 June 1833 at Nassau, Rensselaer Co., NY, at age 87.1 She was buried at Presbyterian Cemetery, Stephentown, Rensselaer Co., NY. Children of Dorcas Smith and Josiah Holcombe Jr.
Jechaniah Holcombe was born on 2 February 1745/46 at Simsbury, Hartford Co., CT.1 He was the son of Josiah Holcombe and Abigail Higley. From Stephen M. Lawson: His name also appears as Jeremiah. Beriah served in 1776, as a corporal and orderly sergeant in Capt. George White's company. DAR Record 61965 shows Beriah's wife as Lucretia WARREN, so perhaps she had an earlier marriage. His son, George Holcomb maintained a diary from age 13 in 1805 until 3 months before his death in 1865. The diary, now in the possession of the Stephentown Historical Society, provides a wealth of historical data. [S104] DAR DAR Lineage book, Vol. LXII:Pg. 329/Item 61965; Vol. CXII:Pg. 239/Item 111726. [S25] Hannah McPherson, Holcombe Genealogy, Page 32.1/Item A-4-2-1-1-3. [S65] Deanna Holcomb Bowman Thomas Holcomb, Vol. II:Pg. 46/Item 42124. Beriah Holcombe married Lucretia Warren.1 Beriah Holcombe was born in 1778. He was the son of Beriah Holcombe and Lucretia Pease. Beriah Holcombe died in 1852. Lucretia Holcombe was born in 1780. She was the daughter of Beriah Holcombe and Lucretia Pease. Lucretia Holcombe married Peter Wylie, son of (?) Wylie, in 1800. Lucretia Holcombe died in 1857. [S25] Hannah McPherson, Holcombe Genealogy, Page 32.1/Item A-4-2-1-1-3-2. Peter Wylie was born in 1778. He was the son of (?) Wylie.1 Peter Wylie married Lucretia Holcombe, daughter of Beriah Holcombe and Lucretia Pease, in 1800. Peter Wylie died in 1831. William and Lucretia had 7 children. The dates are from brother George's diary. Miriam Holcombe was born in 1786. She was the daughter of Beriah Holcombe and Lucretia Pease. George and Lucinda “Hocum” were enumerated in the 1850 Stephentown, Rensselaer Co., NY, federal census (roll M432-586, page 247). He was a farmer, age 54; she was 61. Children in the household were Charlotte E. 28, George P. 25, John F. 24, Sarah A. 21, and Elwin Leonard 18. George kept a diary until just before he died. The Stephentown Historical Society has it and transcripts from it occassionally appear in the Eastwick Press in Eastern Rensselaer County. George's diary entry fom Saturday, October 29, 1842 can be found at: Saturday, October 29, 1842. [S25] Hannah McPherson, Holcombe Genealogy, Page 32.1/Item A-4-2-1-1-3-7. [S65] Deanna Holcomb Bowman Thomas Holcomb, Vol. II:Pg. 46/Item 42125. Jesse Eggleston was born circa 1774 at NY.1 He was the son of Elisha Eggleston and Abigail Holcombe. Nancy Eggleston was born circa 1776 at NY.1 She was the daughter of Elisha Eggleston and Abigail Holcombe. Deborah Eggleston was born circa 1778 at NY.1 She was the daughter of Elisha Eggleston and Abigail Holcombe. Josiah Eggleston was born circa 1775 at Stephentown, Rensselaer Co., NY.1 He was the son of Elisha Eggleston and Abigail Holcombe. Louvicia Eggleston was born circa 1783 at NY.1 She was the daughter of Elisha Eggleston and Abigail Holcombe. Abigail Eggleston was born circa 1785 at NY.1 She was the daughter of Elisha Eggleston and Abigail Holcombe. Sarah Eggleston was born circa 1788 at NY.1 She was the daughter of Elisha Eggleston and Abigail Holcombe. Birth month also appears as Sept. Samuel Holcombe was born on 19 February 1753 at Simsbury, Hartford Co., CT.1 He was the son of Josiah Holcombe and Abigail Higley. Jonah Holcombe was born on 6 July 1755 at Simsbury, Hartford Co., CT.1 He was the son of Josiah Holcombe and Abigail Higley. Michael Holcombe was born on 8 February 1758 at Simsbury, Hartford Co., CT.1 He was the son of Josiah Holcombe and Abigail Higley. Deborah Holcombe was born on 23 July 1760 at Simsbury, Hartford Co., CT.1 She was the daughter of Josiah Holcombe and Abigail Higley. [S647] Jerry Lobdell, "Dorcas Holcombe," e-mail to James H.Holcombe, 5 February 2008. Of Unadilla Forks, Plainfield, and Cherry Creek, NY. He was a Baptist minister. Waitstill Crumb was born in 1771. He was the son of Waitstill Crumb and Patience Wells. Waitstill Crumb married Cynthia Holcombe, daughter of Josiah Holcombe Jr. and Dorcas Smith. Waitstill Crumb married Lydia Atwater in 1832 at Florida, MA. Waitstill Crumb died in 1844. Lydia Atwater married Waitstill Crumb, son of Waitstill Crumb and Patience Wells, in 1832 at Florida, MA. Cynthia Crumb was the daughter of Waitstill Crumb and Cynthia Holcombe.